Eric Williams is a land sales expert currently living in Wilmington, North Carolina. He has an extensive background in commercial fishing, farming, landscaping, and retail management. 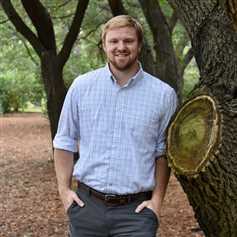 Eric also has a passion for teaching, having earned a Masters degree from the University of North Carolina at Wilmington in Education. Eric chose to be a land specialist because he has a passion for connecting property with clients who share his love of the outdoors. His adventurous nature and appreciation of the outdoors is inherited from his father, who owned a logging business, and grandfather, who spent his life as a big game hunting guide. Whether you're looking to find new hunting property, invest in a timber tract, or purchase farmland, Eric has the knowledge, passion, and expertise to help you get it done.